Do Twitter links carry SEO value with Google? Absolutely! I understand that Twitter links are nofollow and carry little link juice to help with organic rankings in Google. But does that mean they are devoid of SEO value completely? What other SEO benefits can I get from actively managing and promoting a Twitter account? Answer: There's no doubt that Twitter has become a high traffic and high activity Web site, but as you pointed out, that doesn't necessarily translate into "link juice." Most people forget that the primary benefit of social media is to drive traffic and create new relationships with a target customer or audience. Users who tend to focus on social media as a way to drive links or increase organic search rankings are usually disappointed. 1. Real-time search engine results: Both Google and Bing are putting Tweets into the real-time search results which means that searchers can get real-time information on a hot topic. It also allows the search engines to easily deliver up-to-the-minute information (for example, updates about the latest football game or news on a major earthquake) that is relevant to users. 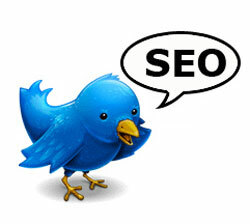 In order for you to make the most of this opportunity, here are a few Twitter SEO rules to follow. The first 42 characters of the Tweet determines the title tag in Google, so be sure to select these characters carefully. Write keyword-rich tweets whenever possible, without sounding spammy. Encourage retweets by tweeting content of 120 characters or less so you can save room for the RT @ Username that is added when someone passes along your message to their followers. 7 Social Media Myths Your Clients Believe! Boost your Link Building by Converting Brand Mentions! A Top-Down Approach To Designing High Ranking Web Pages! How can I tell if a citation from a directory is worth the effort?